For owners and managers of WordPress websites in Langley, Steady Digital offers WordPress help and ongoing support. Simple WordPress website maintenance plans help provide peace of mind for busy website owners so they can get on with their business or other important daily activities. Steady Digital (formerly “Steady Graphics Services”) has been working with design studios, businesses of all sizes, and non-profits in Langley for over 15 years. I have had the privilege of working with a variety of organizations in Vancouver, including solo entrepreneurs and designers, non-profits, a well-known BC grocery chain, and a favourite berry farm. 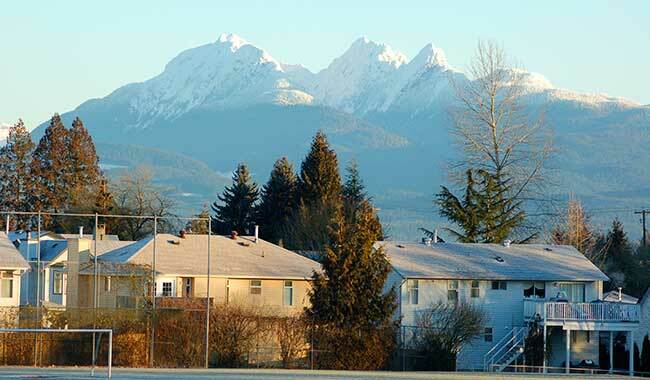 Less than a 40-minute drive from downtown Vancouver, Langley (pop. 130,000) is the easternmost community of metro Vancouver. The region covers about 320sq km, with the Fraser River to the north, the city of Surrey to the west, the city of Abbotsford to the east, and Washington State (USA) to the south. The community of Fort Langley, part of Langley Township, is the birthplace of British Columbia. Fort Langley was founded in 1827 as a Hudson’s Bay Company trading post. While Langley is often thought of as a bedroom or commuter community, it is also home to a vibrant business community of small, medium, and large businesses. There is also a growing agri-business market in Langley, with farms that include some of the region’s best strawberries, raspberries, blueberries, and other farm fresh produce, including some fine wineries. You can take self-guided tours of these farms and shops on the 12-stop Circle Farm Tour or shop along the Historic Otter 248th Trail. Langley is also home to museums such as Fort Langley’s BC Farm & Agricultural Museum, the Canadian Museum of Flight, and the Tribal Spirit Gallery. You will also find the Greater Vancouver Zoo here in Langley Township. Take in a round of golf at the Redwoods Golf Course or Belmont Golf Course, two of Langley’s seven golf courses. Or find a specialty shop along downtown Langley’s Fraser Highway, or at Willowbrook Shopping Centre.